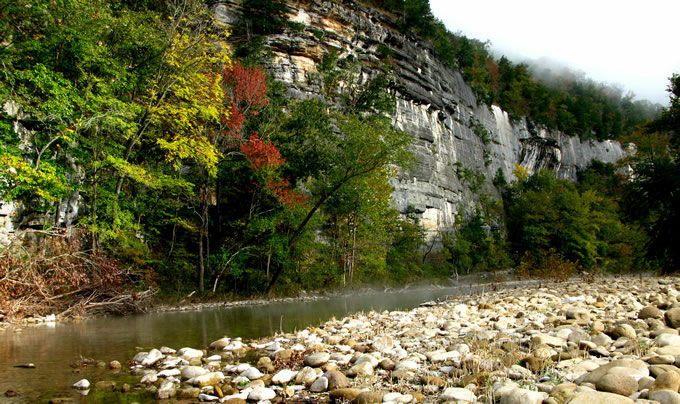 The Buffalo National River, one of America’s Most Endangered Rivers®, is a special place that has been protected as a national park but industrial hog farming threatens the health of the river and local tourism. 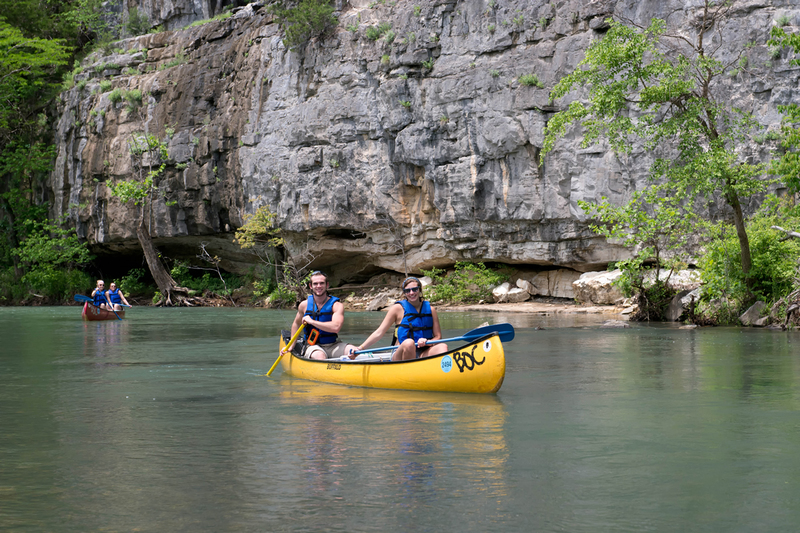 This guest blog by Lin Wellford is a part of our America’s Most Endangered Rivers® series on the Buffalo National River. The Ozark Mountains of Northwest Arkansas are, in my opinion, the most beautiful and natural part of the state. The region is also home to our most beloved and storied river, the Buffalo. 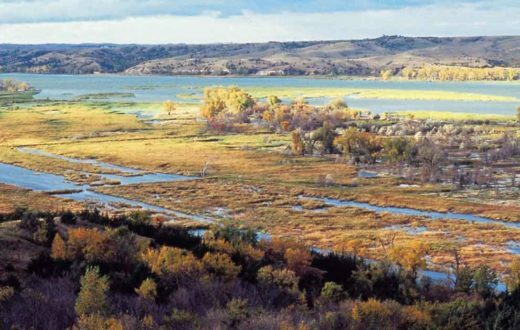 Almost fifty years ago, outdoorsmen and environmentalists joined forces to beat back a plan to dam the river in two places, generating hydropower by impounding a series of man-made lakes. For many Arkansans, this made no more sense than it would to dismantle Mount Rushmore for road gravel! 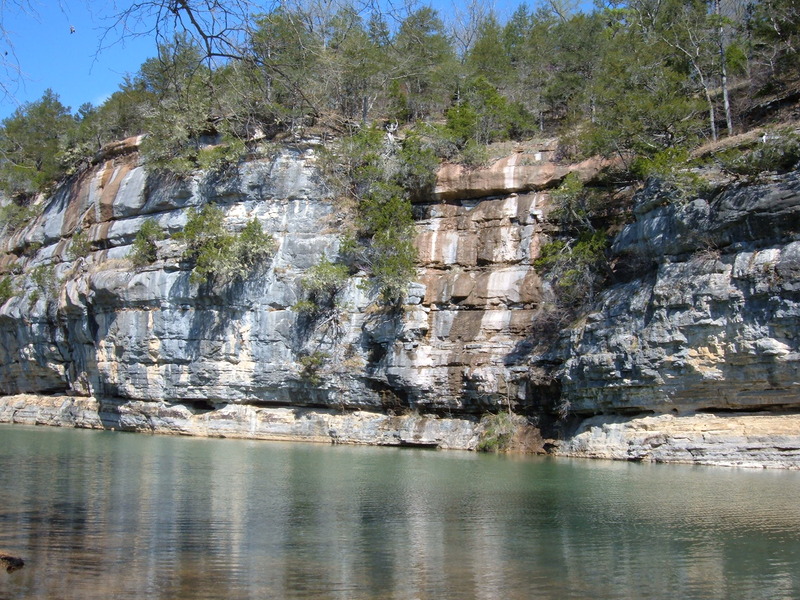 Previously, the majestic White River had been dammed to create a chain of lakes and power stations that altered the character of Northwest Arkansas. Enough already! After the U.S. Army Corps of Engineers was finally sent packing, lawmakers decided that the river needed even more protection, and they worked to have 134 miles of the Buffalo declared a National River. This was the first time that an American river was designated as a national park. 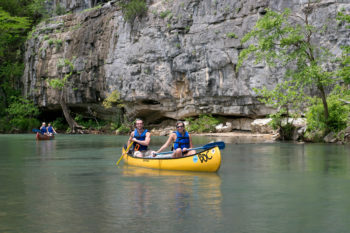 In the decades since, countless scouts, church groups, families, sportsmen, and nature lovers have come to enjoy and be enchanted by the Buffalo River. Camping on a wide gravel bar under a sky crowded with stars, hearing whippoorwills cry and current swirling around rocks, can be a life-altering experience. It certainly was for me. The first time I kayaked and camped with friends, I fell head over heels for the mystical ‘Buffalo blue’ waters, said to be an effect of dissolving limestone. Since that trip, there have been more visits than I kept track of— with family, with friends, with members of the Ozark Society, on river clean-ups, and later, with my grandchildren. What a thrill to introduce youngsters to this amazing river! We made an art out of ‘slow-floating’ taking our time on a sultry summer day, paddling just long enough to feel the heat, then choosing a deep pool or a narrow riffle to stop and soak and splash the day away. As I watched the kids leaping into the water, I wondered if they would return one day with their own families, making a whole new generation of memories. 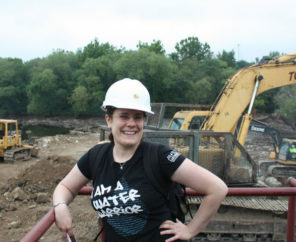 The stunning news that a factory-sized hog operation had not only gotten a permit, but was nearly built and ready to begin raising pigs along a major tributary of the Buffalo River took me and many others by surprise. The more we learned, the worse the news got. Millions of gallons of untreated hog feces and urine would be captured below enclosed metal sheds and flushed into open lagoons where it would stew like a foul soup until the slurry could be pumped out and sprayed on the surrounding fields and pastures. 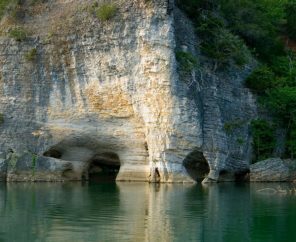 Some of Arkansas’ most renown hydrogeologists were quick to point out that the facility sat on a karst topography, a limestone substrate prone to fracturing, sinkholes, and caves. Just down the hill from the waste lagoons is Big Creek, a major tributary to the Buffalo River. The area is riddled with caves, dotted with sinkholes, and covered in many places by topsoil so thin and rocky that growing row crops is not an option. A 6500-head confined animal feeding operation (CAFO) will inevitably impair this jewel of a river. Why on earth would a giant agricultural corporation choose such a fragile and precious place? It had to be a mistake! Much later, someone explained that corporate agriculture has figured out that if they could site one such facility in a sensitive area, they could eventually ‘take the state’. I also learned that they look for places where jobs are scarce and people are desperate to find ways to make a living on their land. Next, convince those folks into believing that the environment won’t be harmed, that new jobs will be created, and that the relentless application of potent hog waste will make the grass greener and the hay more plentiful. 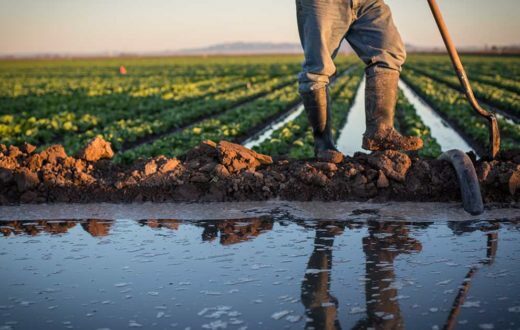 But in the decades since this type of intensive animal production was first touted as the “way to feed the world,” testing shows waterways are being spoiled by the over-application of animal waste all over the country. Traditional farms operated sustainably for hundreds if not thousands of years. Now, after just four years, the pastures used to dispose of waste from this one CAFO are testing above optimum for nutrients. What the grass can’t use bonds with the soil and runs off during heavy rain or percolates through the porous and shallow soils. Even proponents admit that some of the hog waste ends up in the river. Meanwhile, only a handful of minimum-wage jobs were created, while almost a thousand jobs that depend on tourism are at risk. If the river is no longer beautiful to look at or safe to swim or fish in, what will those people do? Will even more residents decide to become contract hog growers? Why not, if the river is already ruined? That’s why I joined the effort to get this poorly-sited hog factory removed from the watershed. The Buffalo was set aside for all Americans present and future. The next generations will need beautiful and natural places to enjoy just as we have. All Americans have an obligation to pass on the best of our country to those coming up behind us. Please join us in telling the State of Arkansas to protect the Buffalo River and deny permits for C&H Hog Farms’ poorly sited facility on Big Creek. Lin Wellford has made her home in the Ozarks for more than 40 years. A retired author/artist, she now devotes her talents to environmental issues and community causes. My family owns 40 acres in Ponca near the river and we wish to keep the river clean. Please be fair to the landowners there. We cherish the river. Thank you for your good work . with orginal Cargill execs and legislators!!! Still can’t believe this has happened!!! 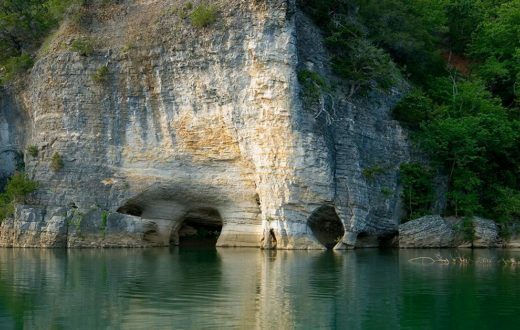 This state needs to correct their mistake and save our beautiful Buffalo National River!!!! Absolutely get 60 minutes to do a story. It’s time to shine a spotlight on them. 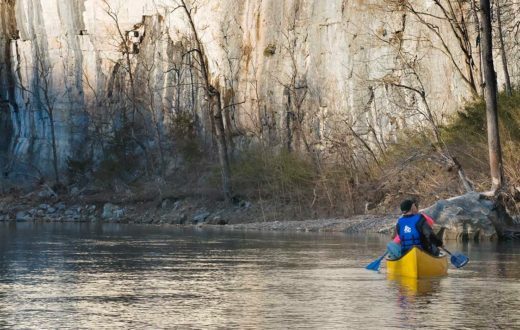 It shouldn’t take years to put a stop to poisoning Arkansas waterways and possibly causing e coli sickness or even deaths. There is definitely under-the-table dealings. We are talking about people’s lives and childrens lives. Correct the mistake or face accountability. 1. Arkansas is the Natural State….let’s keep it that way. 6. Remember we all live downstream.